When I started planning Otis's room I had very little to go on. Some old photos from a friend, descriptions in books and only a few images from the internet. 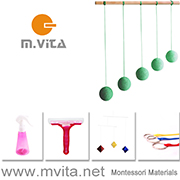 The only images of Montessori mobiles I had were from those selling them. Things have changed. My next couple of posts will feature photographs and videos I have received from all over the world. Some spaces are pure Montessori and others are Montessori inspired. All of them beautiful. A sincere thank you to all the families who have emailed me. I have been overwhelmed by your generosity. Your willingness to share. You are amazing! From Meryl at My Bit of Earth. Not only is this room fantastic, I'm totally in love with the entire blog. The room can be seen in more detail at The Room of Yes. While you are there have a look at the DIY Learning Tower and Floor Bed Frame. I'm overloaded with inspiration! This is Ruby with her Octahedron mobile. I know there are a lot of links here but have a look. The videos are fantastic. From the fabulous Karla. This room belongs to Apple from Jack in CT: Adventure & Ennui. For a detailed look head over to Apple's Room. From the same site I love the DIY Wooden Infant Toy Arch. Of course this is Theo, more information from Marilia at acaratapa. I have another post full of photos to share tomorrow. I hope you enjoyed these. 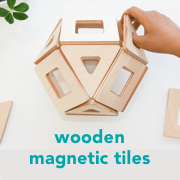 If you have a Montessori inspired space (not necessarily involving mobiles) that you would love to share, please feel free to email me. I would love to feature these too.